As with any other animal, stress, fear, and uncertainty can cause aggression. In turn, aggression can lead to painful and severe canine bites and attacks. Some people believe that the breed of a dog determines his capacity for violent behavior. In fact, some communities and rental properties ban certain breeds, including pit bulls, mastiffs, German shepherds, and Dobermans. However, this notion of “violent breeds” isn’t necessarily accurate. Any dog can become hostile when he feels threatened. Body size. When it comes to a dog attack, size does matter. Larger breeds, such as Siberian huskies and Great Danes, can exert more force than a charging Chihuahua. Furthermore, larger breeds tend to have more power than smaller breeds, making them capable of pinning you down and violently thrashing their heads while biting. Mouth size. The size of a dog’s mouth will determine his bite size. Typically larger dogs have larger mouths and a bigger bite than smaller dogs. However, some smaller breeds do have proportionally large mouths, such as the bulldog. Bite strength. Different dog breeds have different jaw strengths. The strength of the jaw determines the force of a bite. To better understand this notion, humans average a bite force of around 160 pounds per square inch (PSI). The average bite force for medium-sized canines is 180 PSI. However, certain breeds can have bite forces over 400 PSI. 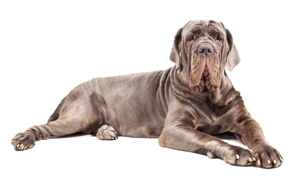 The top two most forceful bites belong to the mastiff with a capable force of 556 PSI and the Kangal (a Turkish breed) with a capable force of 743 PSI. Energy. Despite the fact that larger dogs seem to be a higher threat than smaller breeds, little dogs tend to have a lot more energy than their larger cousins. As a result, smaller breeds are more likely to escalate from an energized-play mode to an adrenaline-fueled aggressive mode. The more energy a dog has will also determine how long an attack will continue. Canine violence is a serious issue and can cause severe, if not life-threatening consequences. However, to avoid injury you can’t just avoid certain breeds. When approaching a dog, whether a toy poodle or a Newfoundland, you need to pay attention and gauge the canine’s attitude and stress level. If he seems agitated, leave him alone. In other words, don’t base your safety on a prejudice; base it on the facts of animal instinct. For more information on canine aggression and dog attacks feel free to browse our extensive collection of articles. If you require more detailed or personal counsel, contact our office directly at 1.800.636.3676 to schedule a FREE consultation.